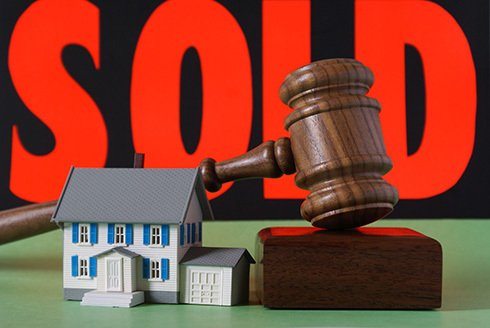 How to Survive—and Not Lose Your Mind in— a Bidding War! In a Seller's Market Bidding Wars can become commonplace—and this can be incredibly frustrating for home buyers—so what can you do? Here are a few helpful tips and strategies on how to survive and not lose control in a bidding war. It's easy to get caught up in the excitement of finding the perfect home only to realize you are in competition with 10 other offers. Your decision on how much to offer should be objective and based on an analysis of comparable sales and market information—not on emotions. Your realtor® should be able to show you recent comparable sales in the same neighbourhood that support the price you are offering. You might be thinking—l don't mind overpaying because the market is appreciating and I don't plan on moving anytime soon. Of course the final decision on how much to offer is yours. However, if you require financing you need to understand how that works first. You've been pre-approved—that's great congratulations—so should you put a finance condition in your offer? First, consider this, lenders now routinely do appraisals to ensure that the house is worth the purchase price. If the appraisal comes in lower—than what you paid—the lender will only provide financing based on the appraised value. If this happens—and you don't have the cash to make up the shortfall—without a finance condition in your offer you could have a big problem. If you cannot complete the sale because you don't have the money, you could lose your deposit and potentially face litigation. Therefore, unless you have the budget to purchase the property outright—or you have a buffer of cash to deal with any deficiencies—make sure to always include a finance condition in your offer. The decision to forego a home inspection can literally end up costing you thousands of dollars! Sure, having fewer conditions in your offer can make it more attractive and may improve the odds of it being accepted—so what can you do? One strategy involves doing the home inspection before making an offer. Sellers are often willing to cooperate and this will give you peace of mind moving forward without this condition in your offer. In my opinion, it's really worth the couple of hundred dollars you will spend to avoid potentially costly surprises later on. If you are in a position of being flexible with your closing date you can use this to your advantage when structuring your offer. Sometimes in competing offers it really comes down to closing date. This can be particularly true if the seller requires a specific closing date. Let's say for example the seller has purchased another home and must close on a certain date. If you are able to give the Seller their ideal closing date they may choose to work with your offer over others—even those offering more money.